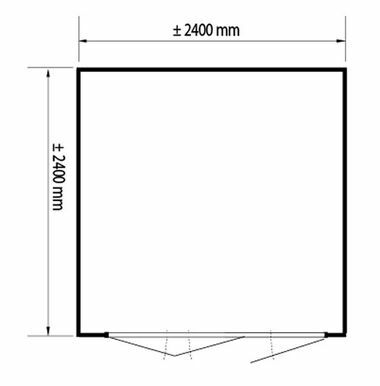 Size approximately 2.4m x 2.4m in 28 mm or 44mm log thickness. 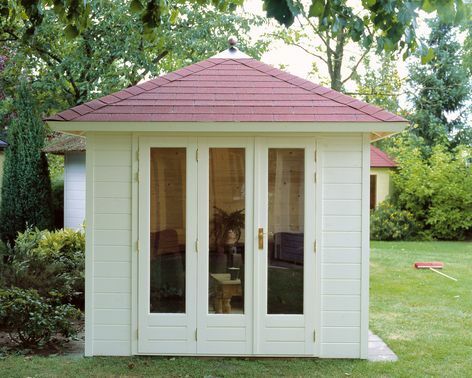 The standard Package includes folding doors with 3 panels DL01. Measurements are taken to the outside faces of the walls.